Each year, Northern Pacific humpback whales undertake the longest migration of any mammal in the world. Most of the time, the whales spend their time living and hunting in the frigid waters off Alaska. The cold, nutrient-rich saltwater is the home of their favorite foods, krill and small fish. But at the onset of winter, the whales begin their journey thousands of miles to Hawaii. Why Do Humpback Whales Migrate to Hawaii? Hawaiian waters are too warm for humpback whales’ favorite foods to thrive. And it’s such a long trip that it depletes a lot of their energy. So why do they come to Hawaii? There’s one simple answer: so that they can raise their young. The cold waters around Alaska that support their food also support apex predators like orcas and great white sharks, which sometimes feed on humpback whale calves. Essentially, Hawaii is a humpback whale nursery. While nursing in Hawaii, humpback whale mothers are unable to feed again until they and their calves make the long voyage all the way back to Alaska in spring. So it’s hard on the mother, but perfect for the baby. During the peak months of February and March, it’s sometimes possible to see humpback whales from shore in Oahu. Some of the best locations for whale spotting are on lookouts along the south-eastern side of the island. The top of the Makapu’u Lighthouse Trail is one of the best locations for land-based whale watching on Oahu. There’s even permanent binoculars there to aid your view. But if you don’t want to hike, you might try Halona Blowhole or Diamond Head Scenic Lookout for a drive-up view. For those spending a limited time in Oahu, the best chance of seeing a humpback whale would be on a boat tour. Though humpback whales sometimes venture into shallow enough waters to view them from shore, they tend to stay at least a mile offshore. So for an up-close and personal encounter, nothing compares to the vantage point of a boat. All Oahu-based whale watching tours have experience on how to spot and find humpback whales out at sea. Because sonar cannot be used in this practice, due to whales’ auditory sensitivity, captains rely on their eyes alone to see spouts and locate whales. It’s best to go on a day with little wind or rain. The Dolphins and You whale watching tour offers hula, Hawaiian cultural entertainment, information about whales and a taro bun cheeseburger lunch! Call 808-696-4414 to learn more. Book your whale watching tour in Oahu! If you are interested in watching whales from sea December - March, Dolphins and You now offers 'Whale Watching' discounted passes onto its regular tours for guests who would only like to see whales. 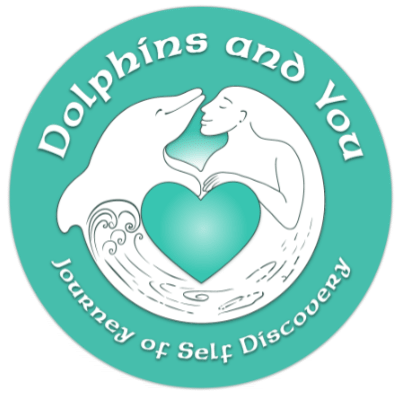 If you are interested in swimming with dolphins, join a regularly scheduled Dolphins and You tour. There is still a chance of seeing whales on these tours. Dolphin Tours Rated 5 / 5 based on 844 reviews.